Like hemlines, desserts come and go, don’t they? Remember sherry trifle and those delicious savarins? Brandy snaps? Soufflés? Tiramisu hasn’t earned its place as a classic but even that has slipped off the dessert list here in Istanbul. Up until now desserts for me always meant a tart, a pie, or maybe a festive cake or Swiss roll. Cheesecake, maybe. But what do you do when one of your guests can’t tolerate flour, and what’s more, her partner is trying to keep her company? You suddenly have to rethink your dessert repertoire. 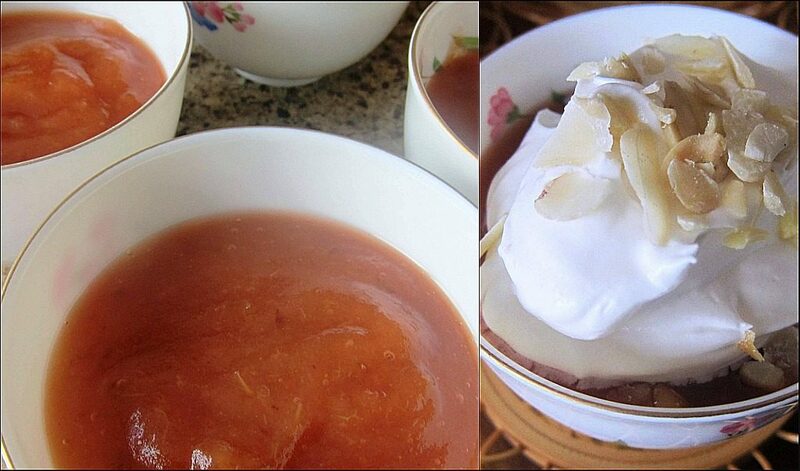 This is what happened this weekend and I suddenly remembered a childhood dessert called apple snow. I thought something light, seasonal and no flour at all would fit the bill. Something just a little bit sweet to round off the meal not laden with calories. And I have some little dishes from Japan that always make a dessert look pretty. 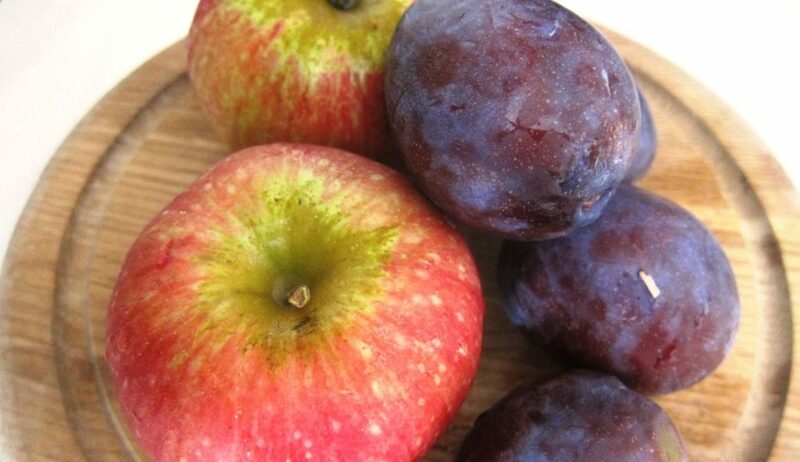 The apples are delicious right now and so are the plums so I thought a combination would work perfectly. And it did! 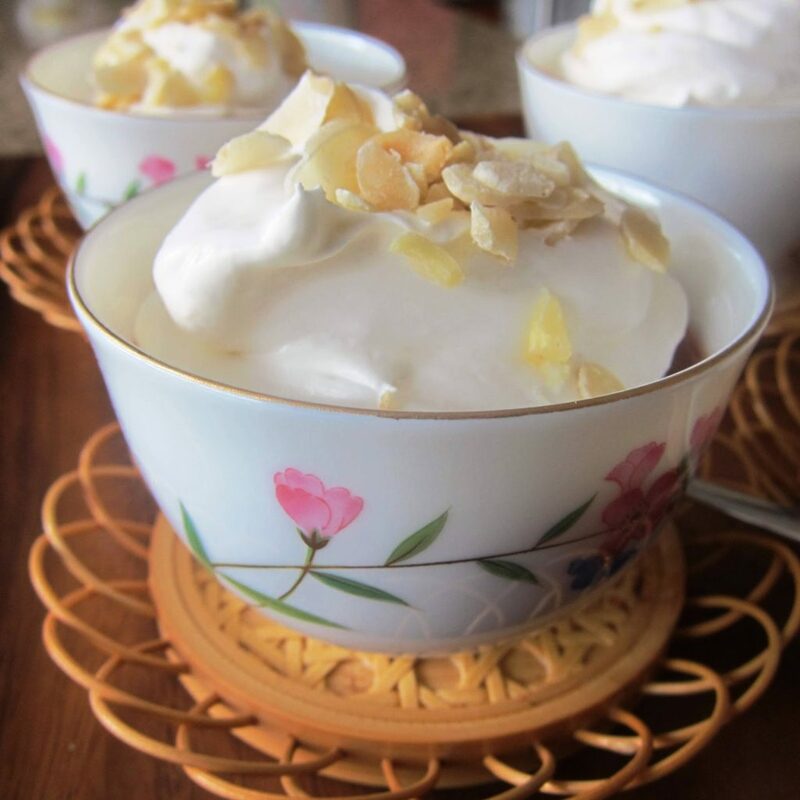 With a little bit of honey to sweeten plus a tad of sugar, topped with whipped cream and flaked almonds! You could also use a mixture of cream and plain yogurt if you prefer. Stone and roughly chop the plums. Peel, core and roughly chop the apples. 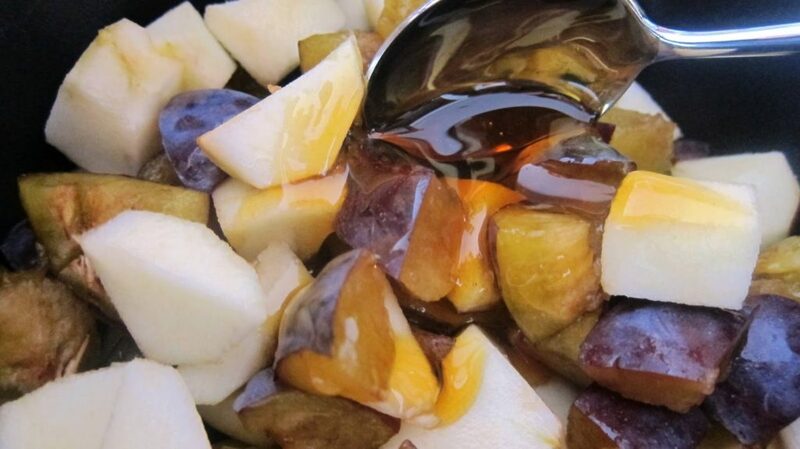 Place the fruit in a small saucepan with the honey and 4 tbsp of cold water. Cook the fruit for 5-8 mins or until it has softened slightly. Cook more if you are going to pureé it completely. Stir in the sugar and then, using a stick blender, purée to a smooth consistency. Pour into 4 bowls or glasses and allow to cool. Beat the cream in a separate bowl until it holds its shape. Add the yogurt if using, or increase the cream slightly. Using a metal spoon, spoon a little of the cream mixture over each portion and chill for at least one hour before serving. 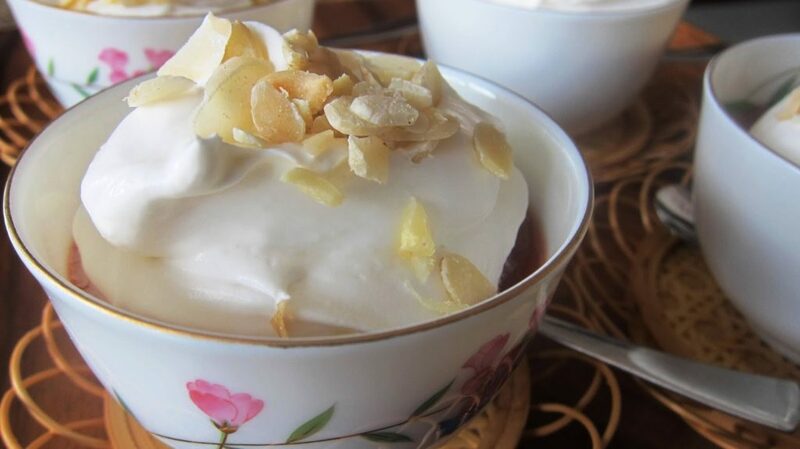 Decorate with the toasted almonds. Try this soon with seasonal fruits: simple, quick and just the thing to round off a meal! Previous Post: « Acem Çorbası/Persian Soup: Another Hearty Soup for You!